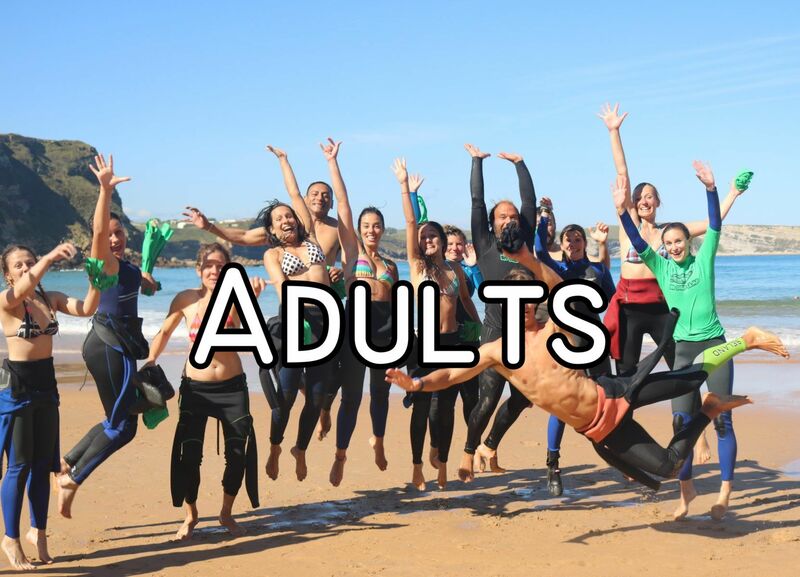 Biosurfcamp offers you the chance to enjoy the world of surfing no matter how old you are. Our place is one of the best surf camps in Spain, located in Suances, we offer packages for adults and also for families going for first dive in the world of surfing. With introductory classes, intermediate and advanced level classes everyone will find what they need at biosurfcamp, wether it’s your first time surfing or your 100th. We also hold camps for children during the summer so they can intensely experience this beautiful sport. We have a wide variety of surfcamp packages, ranging from one night of accommodation and one surfing class, to packages consisting of 15 classes and 15 nights of accommodation. The advantage offered by Biosurfcamp is that you can select the option that best suits you and enjoy, at your own pace, the world of surfing. We also teach surf theory, yoga and functional body training to increase your performance in the water. You can also enjoy our surf material on your free time, learn with our books and guides or simply enjoy a relaxing holiday in one of the places in Spain where the sport of surfing is king. The best plan for your beach vacation this summer is Biosurfcamp. You’ll come to find a great group atmosphere and a unique place to rest and recuperate. You will enjoy a well-deserved vacation with the best action sport of the summer: surfing.. 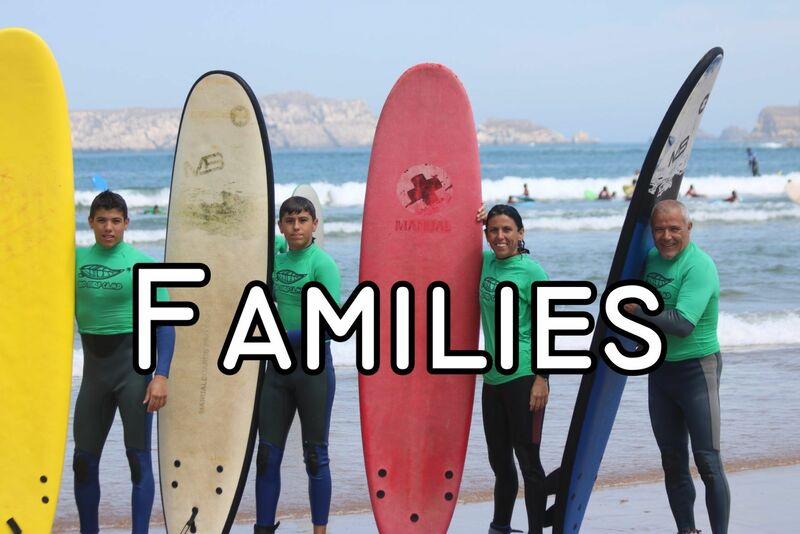 If you are looking for a surfing vacations with your family, Biosurfcamp is the best choice. Adults and children will share the unforgettable experience of surfing on the beach together and will be able to rest in the quietest place in Suances. In addition, the little ones will be able to enjoy the trees, the animals, the pond and the well, the meadow and all the corners of the camp that they know how to discover and take advantage of like no one else. If you are searching a different kind of camp, then come and discover Biosurfcamp. With an intense surfing plan, a wide choice of beaches, surrounded by nature and many fun activities at your disposition. You will have a well-deserved vacation in an idyllic place, where children will discover surfing in a unique coastal and foresty environment of where they will stock up on adrenaline for the whole year. Our surf camp in Cantabria is located in a privileged green area of ​​the Villa de Suances. The camp is in a green area where there is no noise or circulation and parking is available at the door, all while being at 300m from the center. 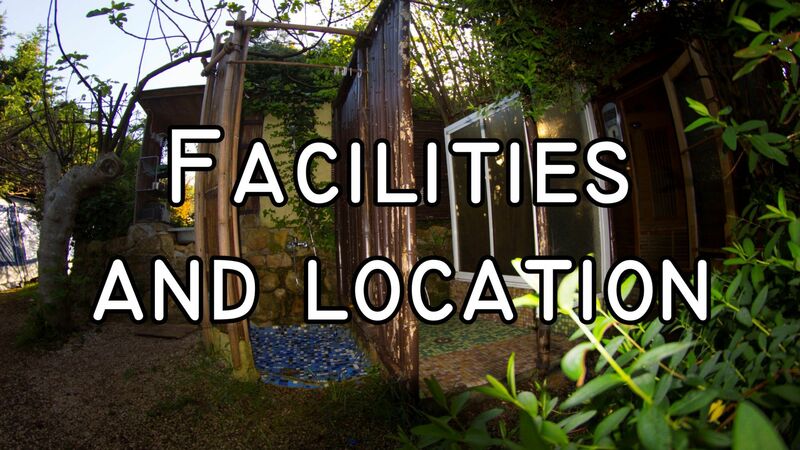 Biosurfcamp has several types of accommodation. 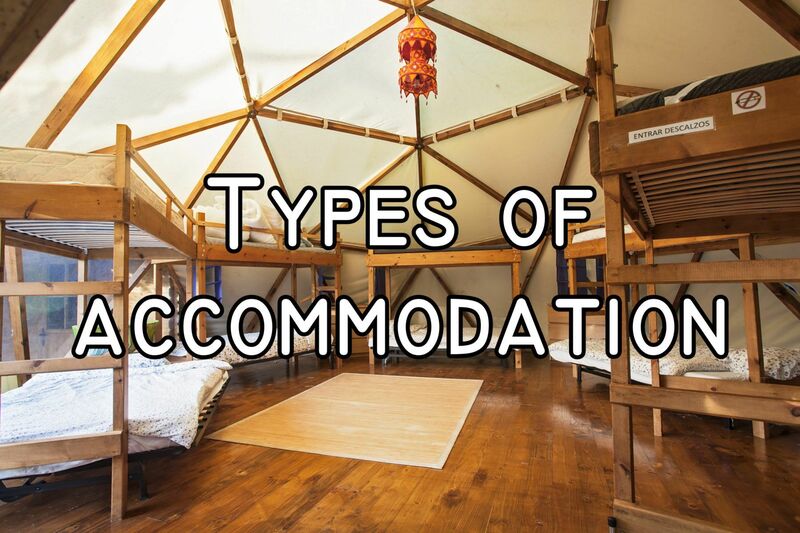 We have two shared bedrooms (Domo and Yurta) based on bioconstructions, wooden bungalows and tent deluxe with wooden entrance. We have dry infrared sauna with music, chromotherapy and an air purifier. We also offer yoga classes, functional body training and classes on surf theory. Moreover we carry out collection and transport services and we have a small shop where you can buy some clothes and accessories taking a pice of Biosurfcamp back home with you. Biosurfcamp is much more than a surf school in Suances, it is a summer experience in a unique surf camp, where you will immerse yourself in the world of surfing during your stay. You can live a unique holiday with a daily surfing course, accommodation in a natural environment and many more activities, such as yoga, theoretical surf lessons or functional body training. In addition, you can enjoy our surfing material outside the surf lesson, learn with our surf guides and specialized books as well as train your balance with the bosus, the slackline, the surfskate and longboards, which will greatly improve your performance in the water. Come to Suances in your summer vacation 2019, and go through a different experience and live the adventure of surfing in Cantabria.